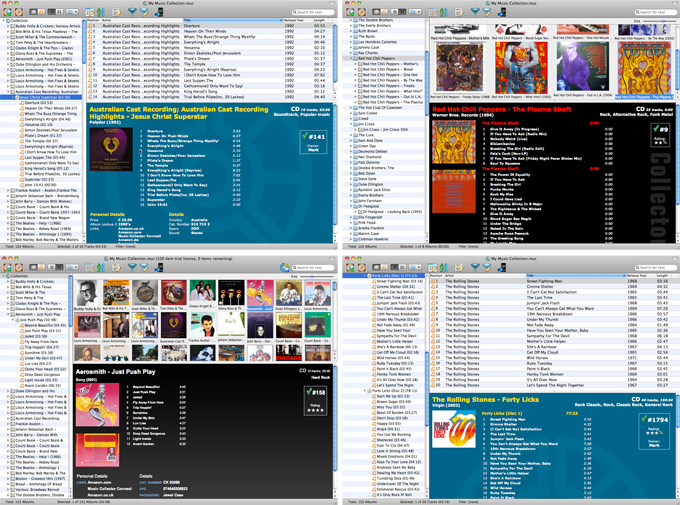 CD Database / Music File Cataloging Software. Automatic song titles & cover art. Just insert CDs or scan folders. Browse, sort and search your movie collection in List View or Images View. Check your movie database with the CLZ Music mobile app for iPhone or Android, or share it online. Transfer video/audio among iPod, iPhone, PC.